The Clean Coalition’s Rosana Francescato and Matt Renner presented at this event, which took place on May 10, 2018 in Oakland, CA. On May 10, 2018, the Clean Coalition’s Rosana Francescato and Matt Renner presented on Community Microgrids in Oakland, CA. This event was produced in partnership with the Local Clean Energy Alliance. Rosana and Matt explained what a microgrid is, the basics of how it works, and how Community Microgrids provide economic, environmental, and resilience benefits to communities. 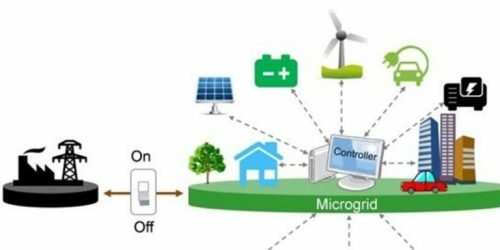 They detailed plans for microgrids in fire-devastated parts of the North Bay, as well as in other areas, to create islands of power sustainability as part of the rebuilding process.